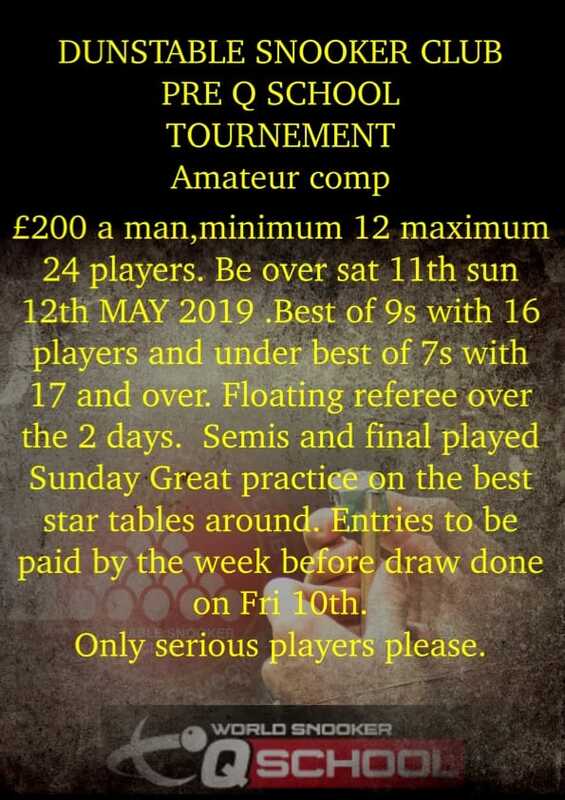 The entry fee for each event will be £20 with a guaranteed winner’s pot of £200 for each event as well as free entry into the next scratch event. There will also be no charge for table light so £20 is all you will have to take part. There will be a total of 8 tournaments throughout the year so plenty of opportunities to get in the money!! • 16 – 32 players – A straight knockout with matches being best of 5, semis and final best of 7. • 32+ players – A straight knockout with the Last 64 and Last 32 rounds being best of 3 frames, last 16 and QFs being best of 5, semis and final best of 7.